The current scarcity of kerosene in the country is capable of setting back the campaign against deforestation, if not arrested on time, through alternative sources of energy, an environmentalist has warned. 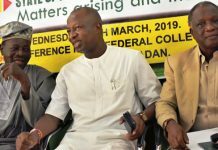 The Environmentalists, Dr. William Arab, the North East Zonal Director, National Environmental Standard and Regulation Enforcement Agency (NESREA), gave the warning in an interview with newsmen in Gombe. Arab said that with the scarcity of kerosene, which he described as the major source of cooking energy, more people would be forced to rely on firewood, resulting in further depletion of the forest. “This problem will definitely force many people that had hitherto been depending on kerosene to resort to the use of firewood,” he said. According to him, the indiscriminate cutting of trees can cause desertification, erosion and flooding in the country. He said that this in turn would lead to accumulation of carbon dioxide in the atmosphere, with negative effects on the Ozone layer and possible climatic change. The director, therefore, called on government and the private sector to continue the search for alternative sources of energy, especially solar energy. Meanwhile, most kerosene sellers in Gombe have resorted to selling firewood to make ends meet. Abu-Bakr Mohammed, a firewood seller, at Federal Low Cost Housing Estate, Gombe, said his business had so far recorded 30 per cent increase, two weeks into the scarcity.